Hinduism is the most common religion. There are many Jains who follow the teachings of Lord Mahavira, the 24th Tirthankara who stressed the practice of non-violence. There has been an increase in the number of followers of Sikhism. Some other major religions that are followed are Buddhism, Islam, Christianity and the Parsi faith. Rajasthan is one of the least densely populated states in India with most villages and towns to the east of the Aravalis. Rural houses are huts with mud walls and roofs thatched with straw. Rajasthan is known for the unique and varied festivals that dot the calendar. Some major religions that are followed are Hinduism, Jainism, Sikhism, Buddhism, Islam, Christianity and the Parsi faith. 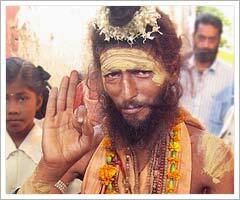 Brahmins: Their main occupation was worshipping and performance of religious rites. Vaishya: These people generally took up business as their source of livelihood. These days they are settled in every nook and corner of the country. There is a large group of agricultural castes to be found in Rajasthan. These people depend on Agriculture for their livelihood. Some of these castes are Jat, Gurjar, Mali, and Kalvi etc. Irrespective of the birth-based caste system, each individual is free to follow the profession or occupation as per choice, in modern Rajasthan. Many tribes are also found in different parts of Rajasthan. These tribes have their own social systems and customs. Some of the commonly known tribes are Meena, Bhil, Garasia, Sansi and Kanjar. The principal language of the state is Rajasthani, comprising a group of Indo-Aryan dialects. The four chief dialects are Marwari in western Rajasthan, Jaipuri in the east and central regions, Malvi in the southeast and southern, and Mewati in northeastern Bharatpur district. Increasingly, Hindi, the official state language is being used more than Rajasthani and in towns and cities. The rituals are very important in terms of the importance that is given to these festivals and the proper process that is followed for these festivals. Rituals are performed with utmost care to provide a very aesthetic and spiritual experience for the festival. These rituals for Indian festivals have been followed for past several centuries with the same respect that was used several hundred years ago. Every Indian festival has different rituals and prayers. Apart from just Hindu festivals there are also several Muslim festivals that follow rituals of their own and is known as Azans and is performed when a child is born or after the new born baby is given its first bath. This ritual is followed and prayers are offered to god. This process is followed so that the first name that the child hears is that of the god. Rituals make an integral part of the Indian history and will be followed with the same zeal and enthusiasm for centuries to come. These five days are a period of relaxation and merry-making for the villagers, despite being the busiest for them, as this is one of the largest cattle fairs in the country. Animals, mainly camels, are brought from miles around. Trading is brisk as several thousand heads of cattle exchange hands. All the camels are cleaned, washed, adorned, some are interestingly shorn to form patterns, and special stalls are set up selling finery and jewels for the camels. Camels at the Pushkar fair are decorated with great care. They wear jewelry of silver and beads. There are silver bells and bangles around their ankles that jingle-jangle when they walk. An interesting ritual is the piercing of a camel's nose. It is believed that for five days every year, all the gods visit Pushkar and bless the devout. This accounts for the unbelievable number of devotees who flock to the lake.